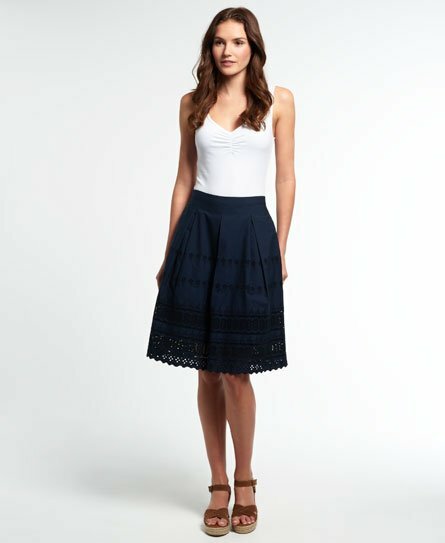 Superdry women's broderie Shimmer midi skirt. This midi skirt features broderie anglaise embroidery, two side pockets and has a back zip fastening. The skirt is finished with a Superdry logo badge above the hem.